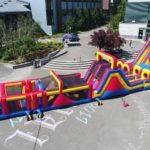 Wow your guests with one of the largest rent-able inflatable obstacle courses available. 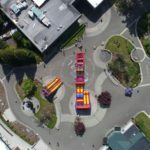 This four-piece unit is not only 91 feet in length, but it also does a hairpin turn at the end! In an unprecedented move, the obstacle track uses a full dual lane slide as the final leg of the race. 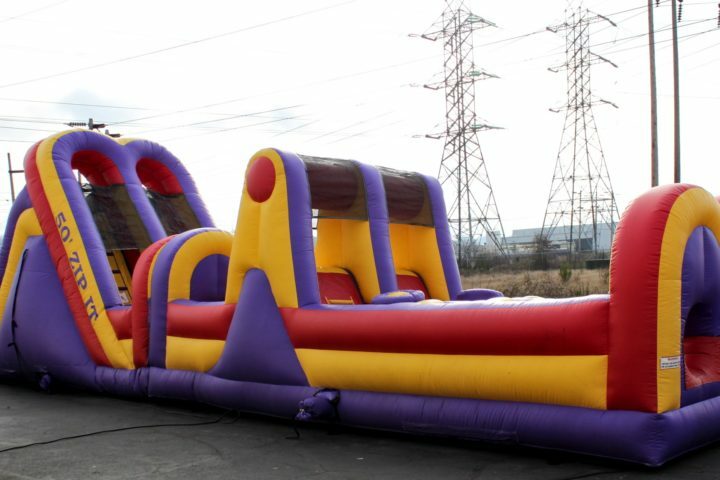 Bright colors and massive size make this a great centerpiece for any school carnival or summer corporate event. Due to the length and complexity of the obstacles, it is recommended that participants be at least 4 years of age. However, there is no upper age limit, and the course can easily accommodate to grown adult males, battling for glory. With the impressive size of this unit comes the need for some impressive logistics. 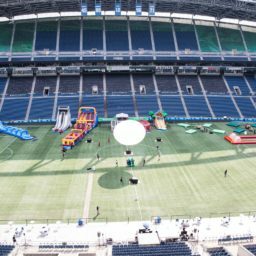 An event specialist can work with your production team to coordinate delivery and access requirements. 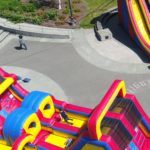 With any inflatable obstacle course, it is necessary to have someone observe and monitor the unit to make sure participants stay safe. We can work with your team to train a volunteer or provide professional event staff for supervision. 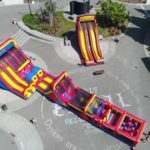 When setting up the obstacle course, our event installation crew will secure the rental to the ground using the optimal combination of stakes and sandbags for the given environment. 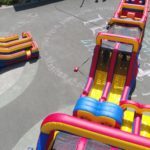 Our New 50 Zip It Obstacle Course is an obstacle lovers dream come true. 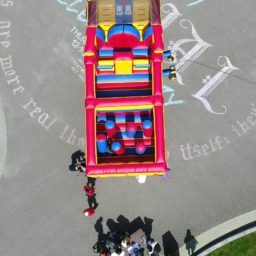 Enter the bulls eye and zip through the bumpers and mushrooms before climbing up the steps and down the slide. Zip through the gate; enter an even taller slide Zipping It to the finish line. Dual lanes allow the kids to race side by side. 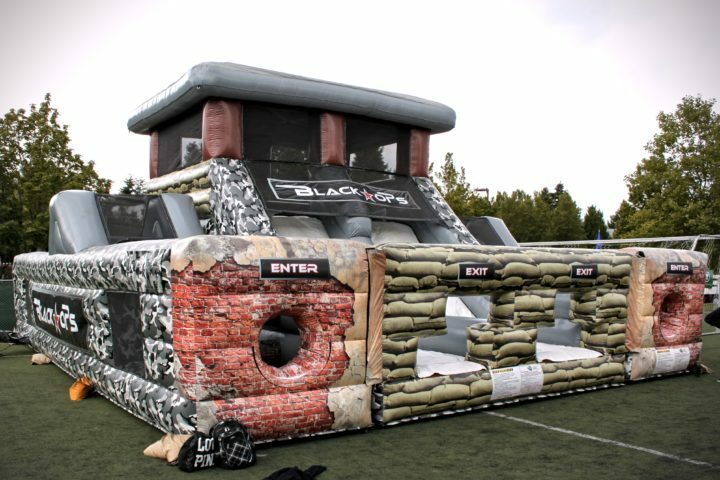 This black and grey camo themed obstacle course has an 85-ft run for two participants to race through, ending in a scramble over a wobbly bridge and a big slide to the finish.